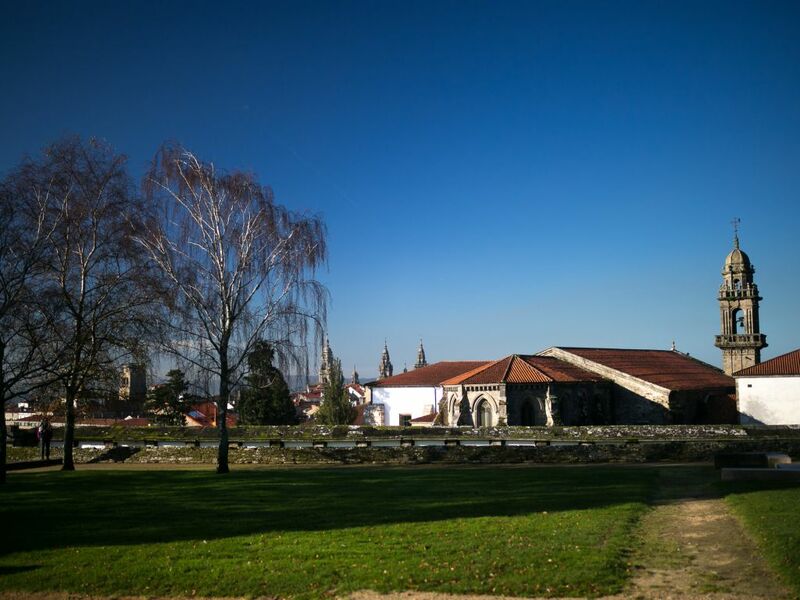 San Domingos de Bonaval Park, situated in the Dominican convent´s former grounds and cemetery, was rehabilitated as a city park according to the Portuguese architect Álvaro Siza´s project. It occupies a west-facing hillside and provides surprising views of the city´s rooftops, to which Chillida dedicated a work that intentionally frames a vision of the city. This project is an example of perfect adaptation to the topography and to the elements and tripartite layout established centuries ago by the Dominicans –vegetable garden, oak grove and cemetery- combining the undulating forms of the hillside and the linearity of the geometric designs defining its paths and terraces. Water murmurs throughout the walk: with fountains, channels and small cisterns… The result is an elegant area, of subtle contemporary design, which plays with the different perspectives, providing an exceptional setting for artistic events.